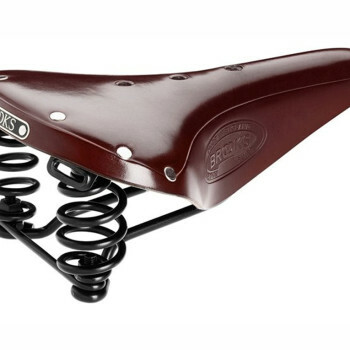 The Flyer (gents) and the Flyer S (ladies) are classically sprung saddles for long distance trekking and touring. It is directly descending from the B66 Champion, first featured in the 1927 catalogue. 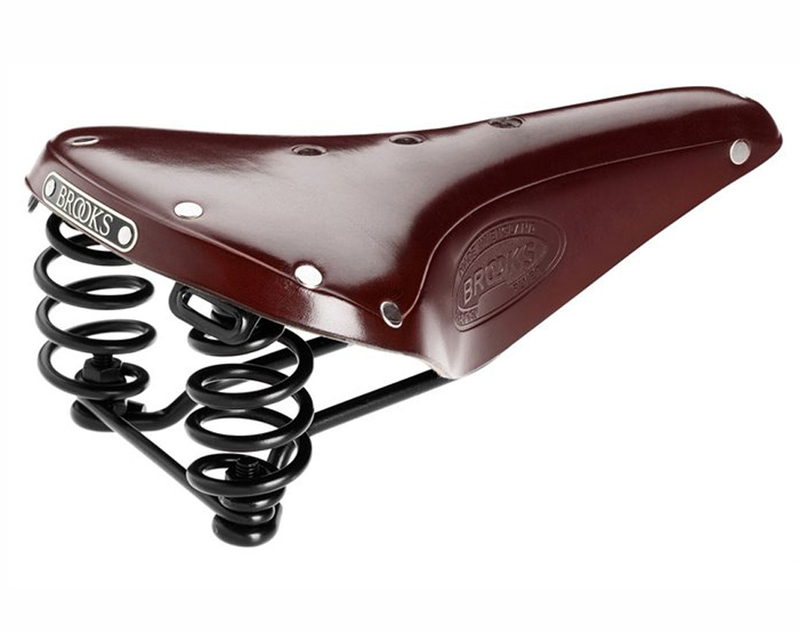 Sharing the same leather tops of the B17 models, they combine the comfort of these popular models with the extra suspension granted by two rear springs and featuring tubular steel rivets. The Flyer Pre-Aged is comfortable from day 1 thanks to the softer leather.